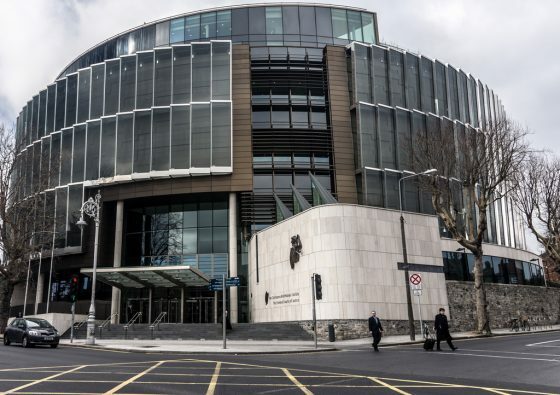 A homeless man who set fire to an acquaintance’s flat and caused over €29,000 damage has received a partially suspended sentence. Alan Jackson (32), who is of no fixed abode, pleaded guilty at Dublin Circuit Criminal Court to criminal damage by arson at Rathmines Avenue, Rathmines, on August 21, 2017. Judge Martina Baxter sentenced him to six years imprisonment but suspended the final 18 months for a period of 18 months provided he engage with the Probation Services upon his release. Garda Barry Bolton told Garret Baker BL, prosecuting, that the injured party, Patricia Martin, knew Jackson for a number of years prior to the offence and had helped him out by giving him food and letting him use her shower. Following the arson, she and her daughter had to move out of their home of 17 years. The court heard she had never been in a romantic relationship with Jackson. Gda Bolton said Ms Martin received a phone call from Jackson after 5.30pm on the evening, during which he became increasingly aggressive and threatened to burn her flat down. After meeting with Jackson and once again being threatened by him, she arranged that she and her daughter would stay in a friend’s home that night. Gda Bolton said that he went to the flat in response to a call about a blaze and encountered Jackson exiting the front door wielding a large wooden stick that was burning on top. The garda deployed his pepper spray when Jackson failed to drop the stick. In interview after his arrest, Jackson claimed he had been in a relationship with Ms Martin and admitted setting fire to her clothes in the bedroom. He said the fire went up too quickly and he was unable to put out the flames with the stick he had brought with him. Judge Baxter said the mitigating circumstances in the case were Jackson’s early plea of guilty, his troubled family background, his history of drug addiction and his remorse. She said the tragic aspect of the case was that the person who had helped Jackson had been made to suffer through a horrific experience for doing so. Judge Baxter backdated the sentence to August 23, 2017, the day in which he went into custody on this matter.